Part 1 can be read here. A review of Lottery and a bookplate giveaway can be found here. Patricia Wood writes full time, does workshops and volunteers teaching students creative writing. She also participates in book festivals and literacy organizations. 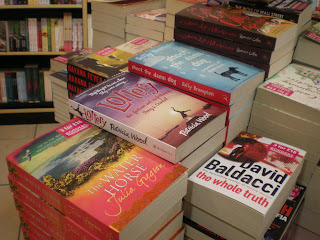 In 2008 Lottery was shortlisted for the Broadband Orange Fiction Prize. Can you tell us something about the whole experience / meeting other nominees? It was an incredible experience just to be nominated and long listed. When I found out I was on the short list I was not allowed to tell anyone for a week and I practically burst. I was thrilled to be able to go to England and meet authors I deeply respected. I considered it an honor and simply fell in love with London. There is something about being considered for an award like that which is both humbling and yet imbues you with a confidence about your writing. My only regret was that I didn’t have time to get my copy of Rose Tremain’s book autographed. 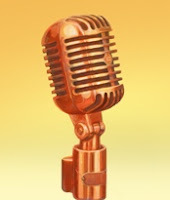 Did the nomination change your writing or your approach to writing? Not at all. It may imply credibility at the time but you just sit down and start your next novel. At the end of the day you are still the same person. Lottery's jacket was rebranded recently in the UK, and worldwide there are a number of different covers. Which do you like best, and do you get involved in the design process? Some editors ask me what I like, but generally authors do not get much input into the cover design. I do love the UK trade paperback cover with the sailboats. It is quite lovely. 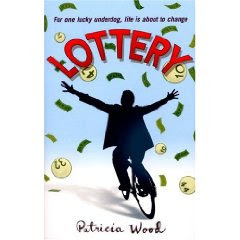 In January 2009, Lottery was the ‘Tesco’ Book of the month. How do you feel about books in supermarkets versus indie bookstores or chains? I am for books being available in all venues. The thing is you go to different stores for different reasons. You may pick up the new Harry Potter at Tesco but frequent your independent bookstore for wider literary choices. I try to do book clubs for a wide number of readers- through libraries, Indie stores, chains, and I was honored that Tesco chose Lottery for their January 09 selection. It definitely exposed my novel to a wider audience. Writers come from such a diverse range of backgrounds and yours seems more diverse than most. You say, “I consider myself a renaissance woman.” Could you tell us something about yourself and how it has led to your life as a writer? I believe the more varied a person’s experience, the more they bring to the table when they write. I flitted from career to career because I had so many interests. I know for many years I didn’t give myself permission to write. I am a perfect example of attaining your dreams after 50. Now that I am published I feel that I am finally doing what I was meant to do. You live on a boat in a Hawaiian harbour, which is a little unusual - do you live there full time and why? Did you ever live on ‘dry land’ and which do you prefer? We are “liveaboards” which are people who live and sail on boats permanently. It has been a life-long dream to live on a boat and my husband and I will do it until we get tired of it or are physically unable. It is a bit of an adjustment but I can’t think of living anywhere else. Right now the wind is pushing my sailboat against the dock and I am sliding a bit sideways. Soon I’ll go out on deck and check the lines. It clears my head to have practical concerns. I include sailing in my novels frequently. My writing space is in the forward stateroom and it’s modified to fit an office chair and desk. I have to work around two cats and neither shares well. Does living on a boat ever make it difficult to write - ie: are you weather affected more than the average writer hunkered down in a back room office? Being in close quarters lends itself to introspection. Weather does make the boat rock but just feels cozy. My writing about sailing becomes authentic when my chair slides from side to side in rough seas. Do you attend any writing events/conferences? Why, and would you recommend them? I attend the Hawaiian Islands Writers Conference and Retreat (formerly the Maui Writers Conference and Retreat) each year. I love this one as I can study for a week with best selling authors whom I respect and enjoy working with. This was where I learned about the publication process and got my foot in the door. I think if you are serious about publication you have to get educated. Retreats and conferences really give an advantage. I am a fan of getting educated about the business of writing. What advice would you give unpublished or new writers? Sit down and write. Finish one novel and start another. Read everything. Be a voracious reader. Take workshops. But above all write. I know too many people that want to be authors and lose sight of the fact that you are first and foremost a writer. I usually read several books at once. Next to me on the table are Veronika Decides to Die by Paul Coelho, The Reader by Bernard Schlink, The White Tiger by Aravind Adiga and The Penny Tree by Holly Kennedy. I have very eclectic tastes and have been known to thoroughly read bus schedules while standing in line for the bank. Upcoming online, I believe you are scheduled to do a live book club web cam online by Random House this spring? Can you let us know when that is and how to join you? Yes, I'm very excited about this and looking forward to it. I will be logging in from Hawaii to talk about Lottery with readers. If you want to join the discussion on 2nd April at 7pm GMT, you need to register online now. Register with Random House here. 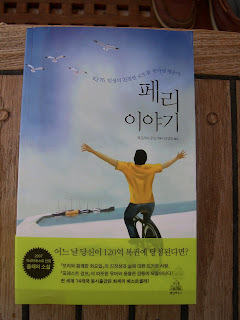 Lottery's Korean and Chinese covers. And if you want to win a signed bookplate enter our giveaway lottery here - closing today! Great interview, Jen! And thanks for adding another good book to my reading list!